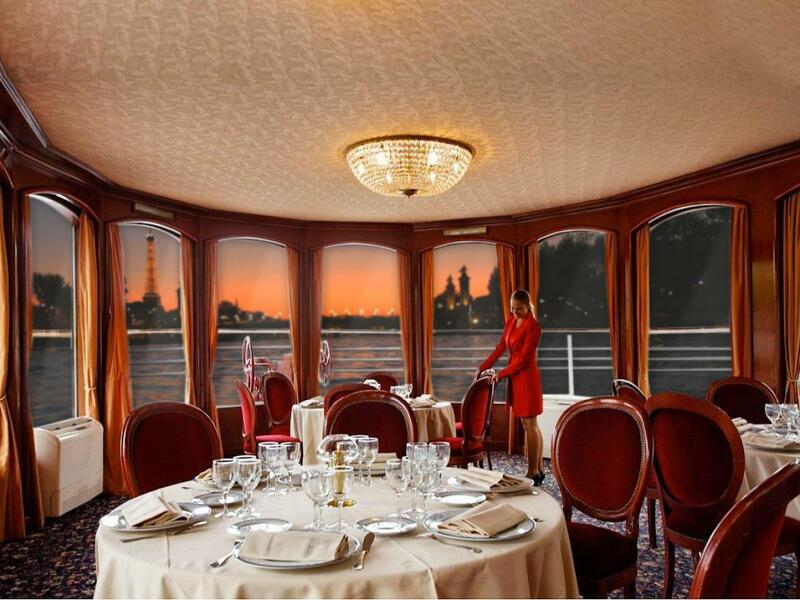 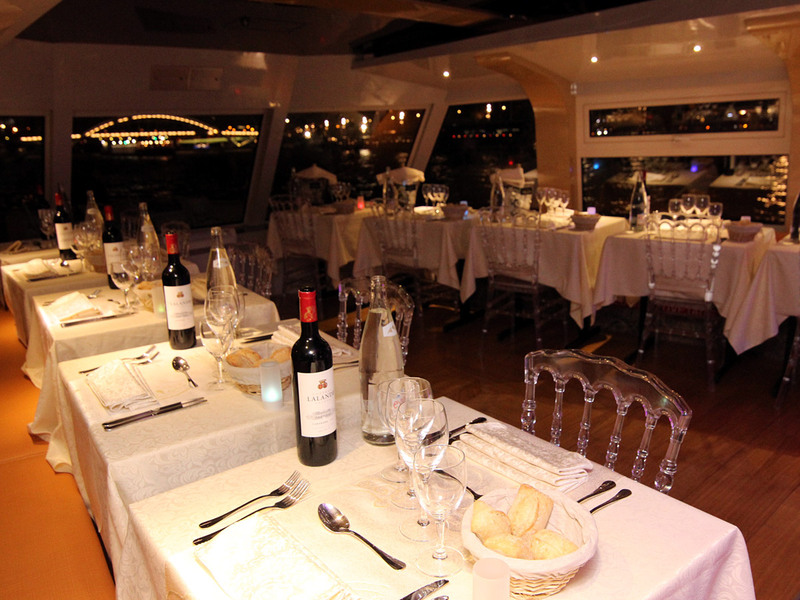 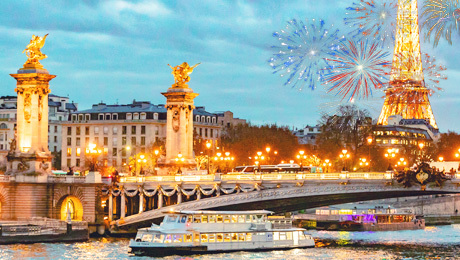 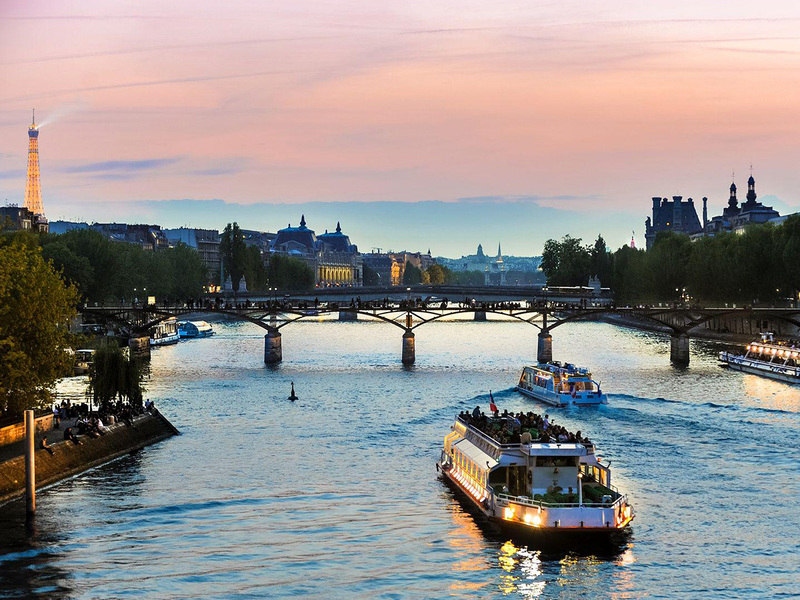 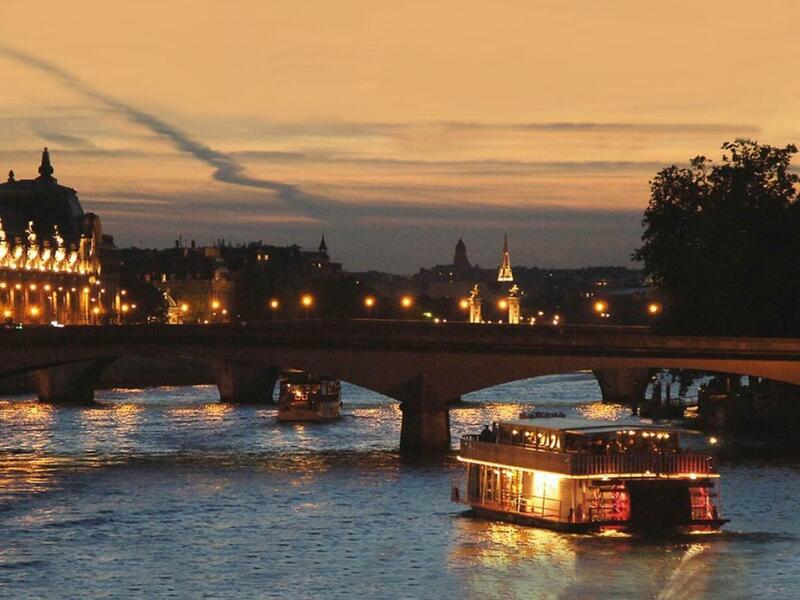 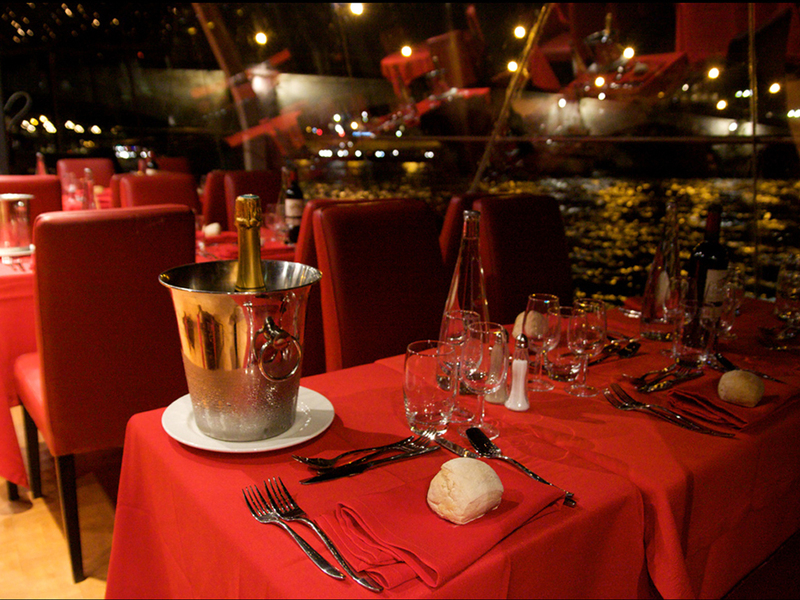 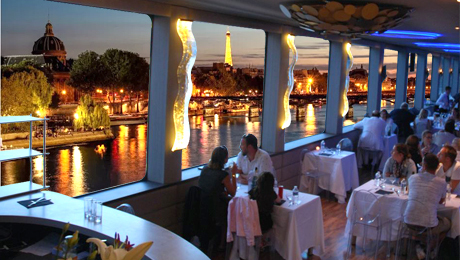 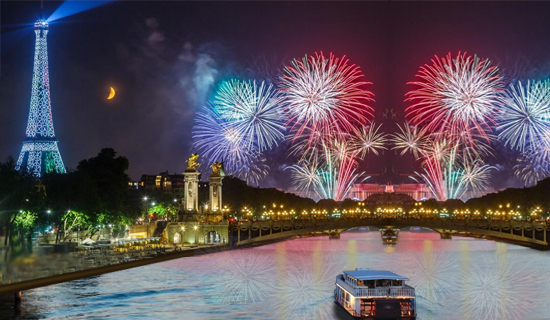 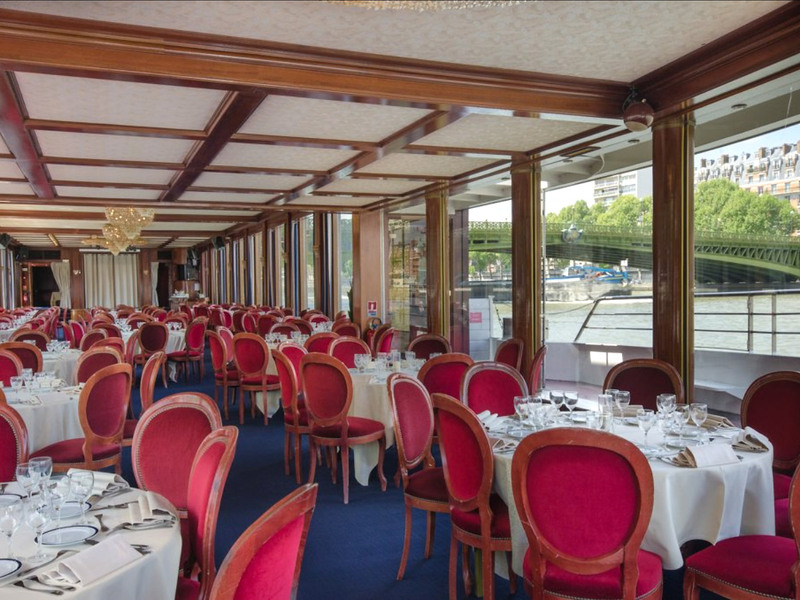 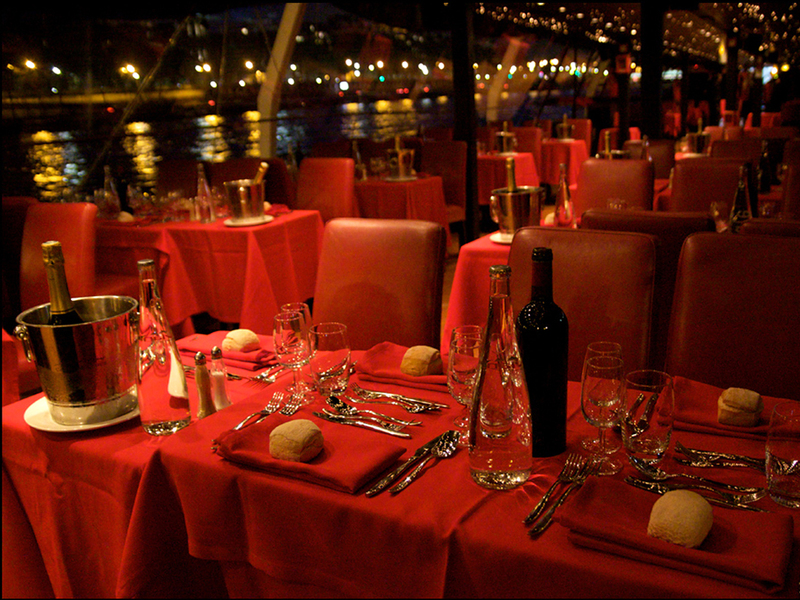 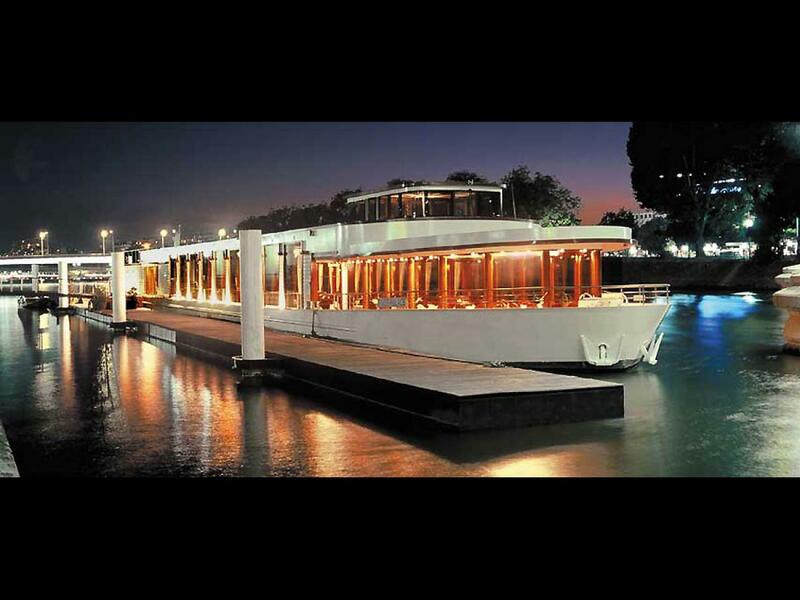 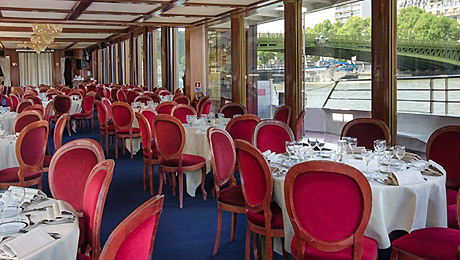 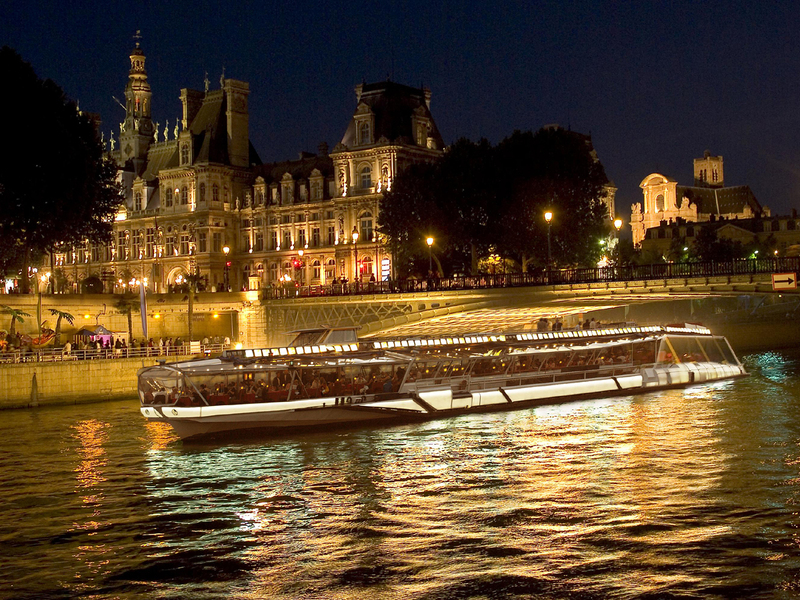 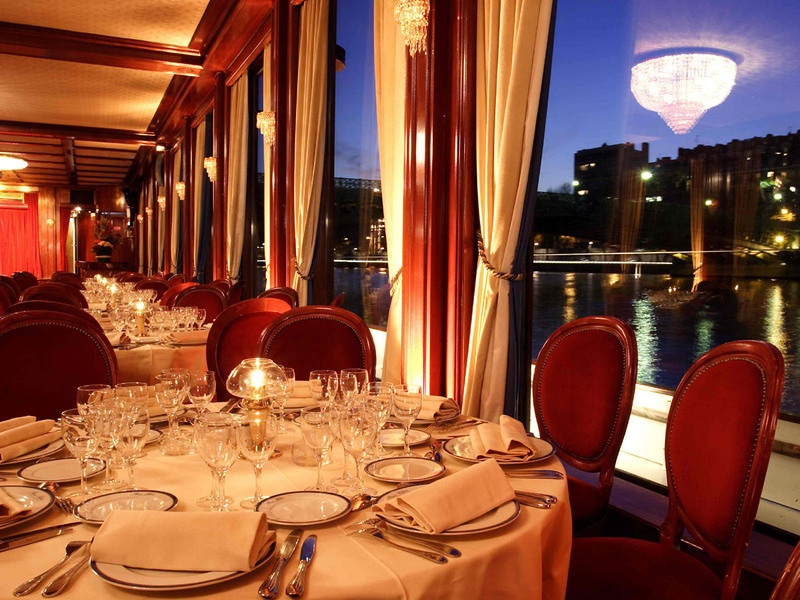 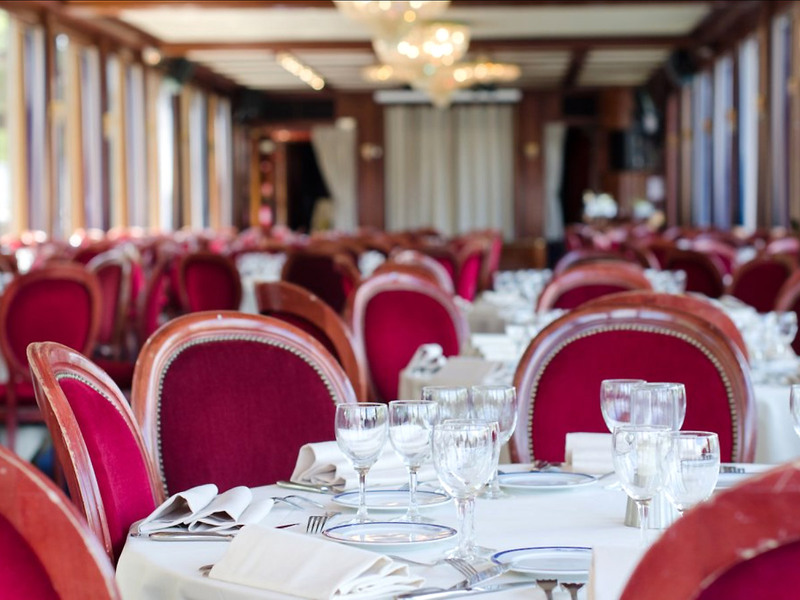 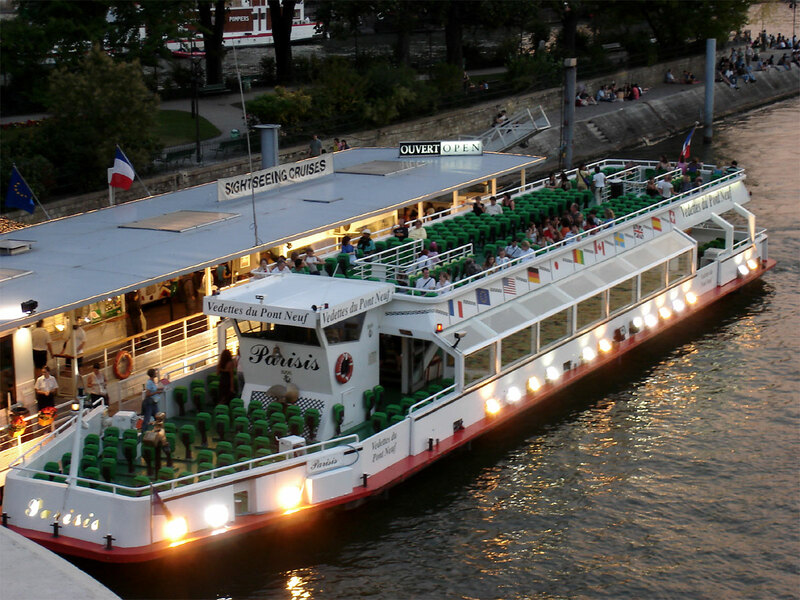 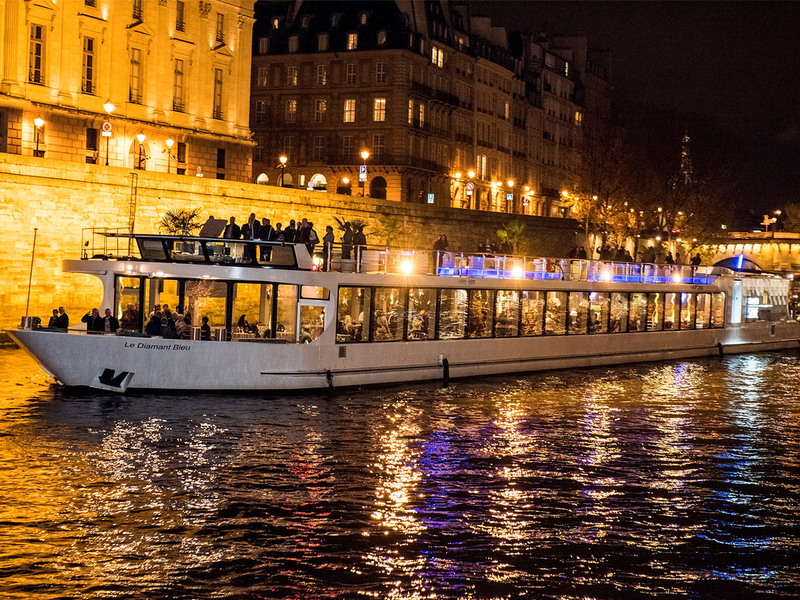 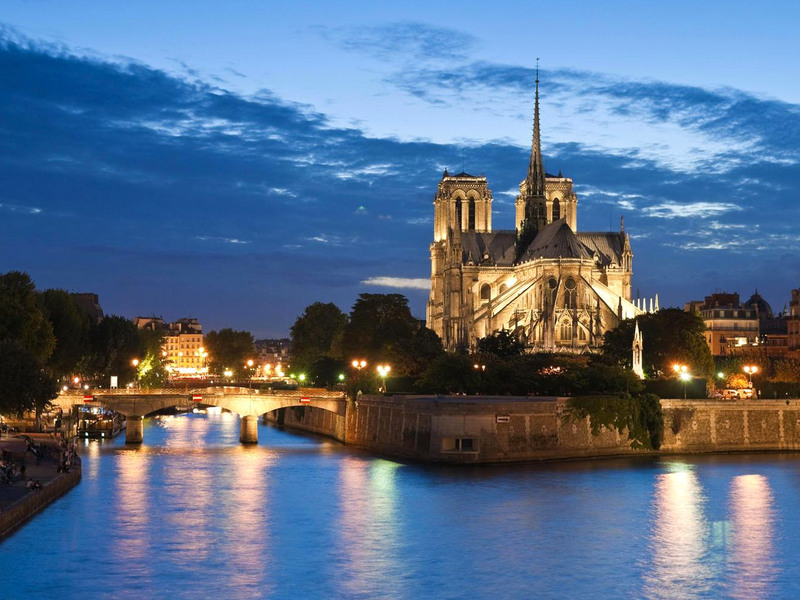 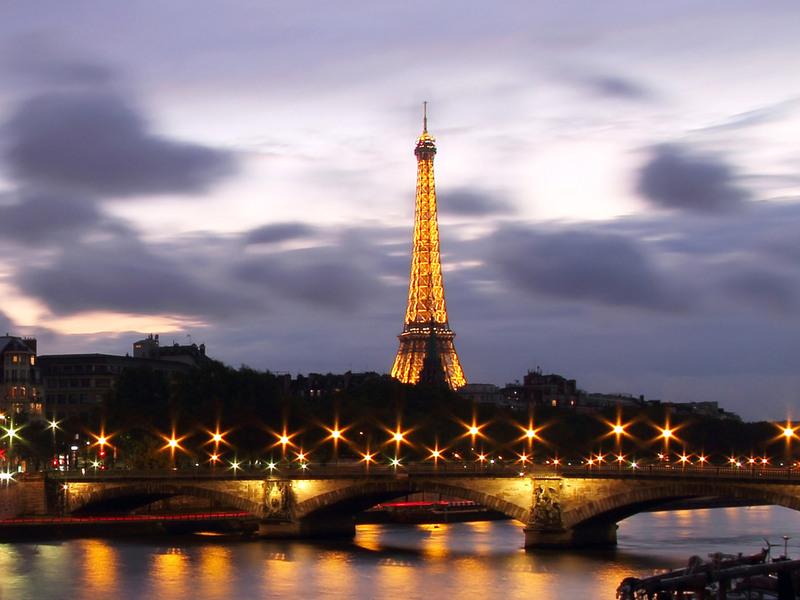 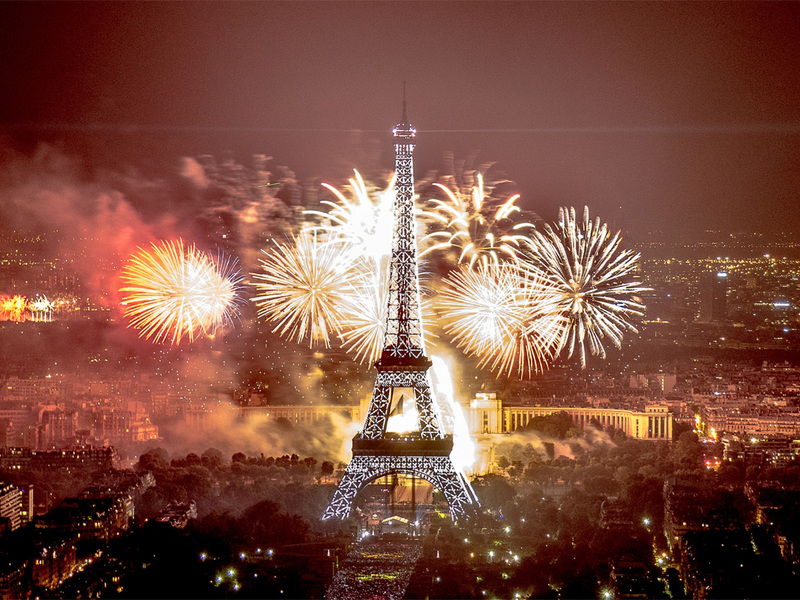 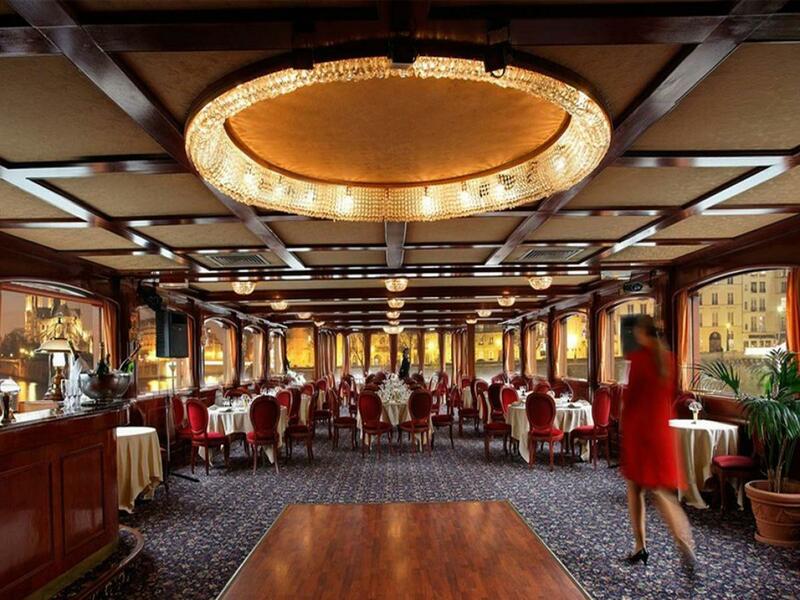 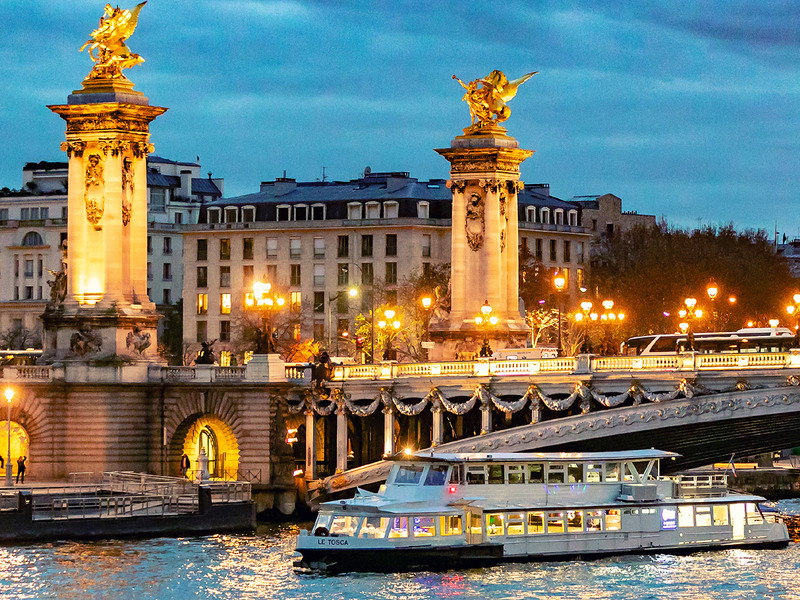 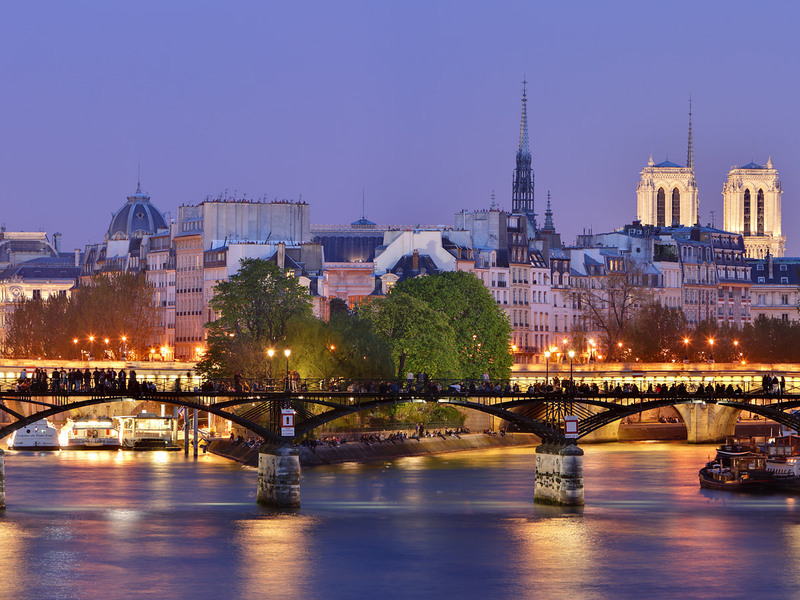 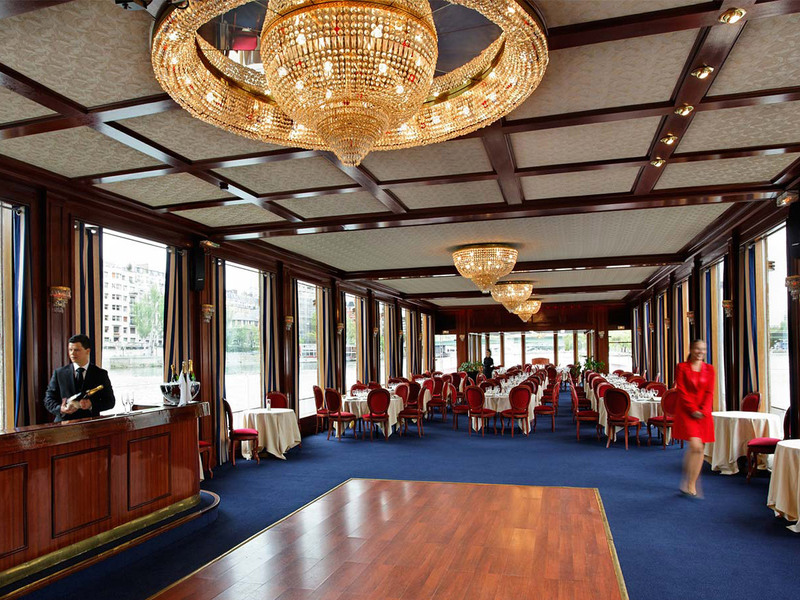 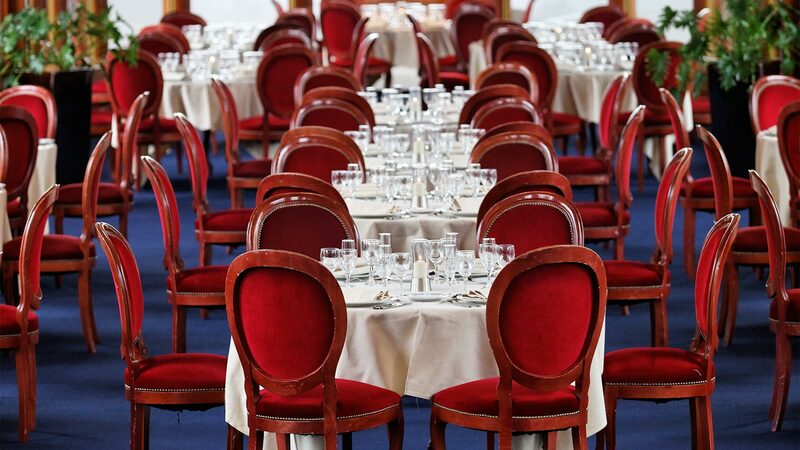 " Cruises, dinners and Fireworks to celebrate Bastille Day in Paris "
What could be more romantic than a dinner cruise to celebrate Bastille Day on July 14th ? 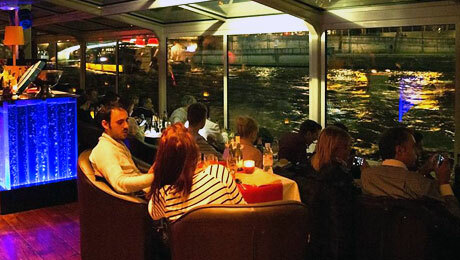 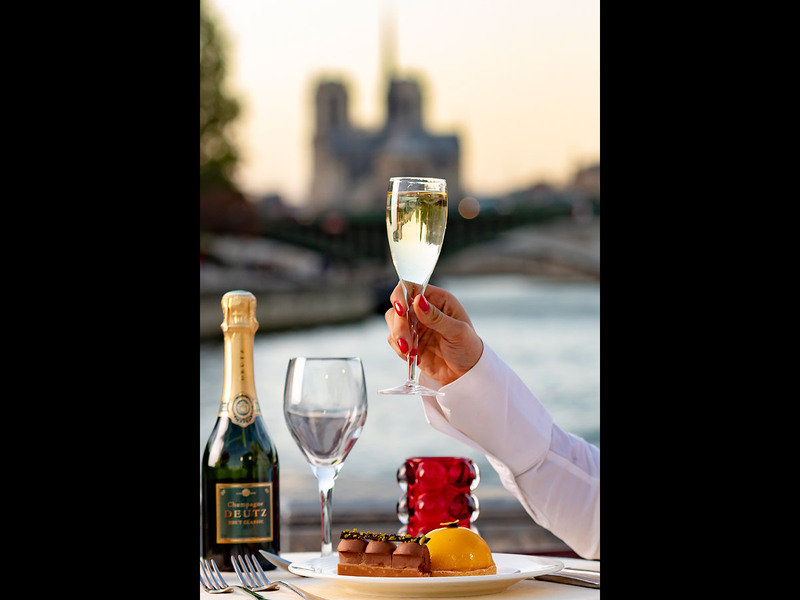 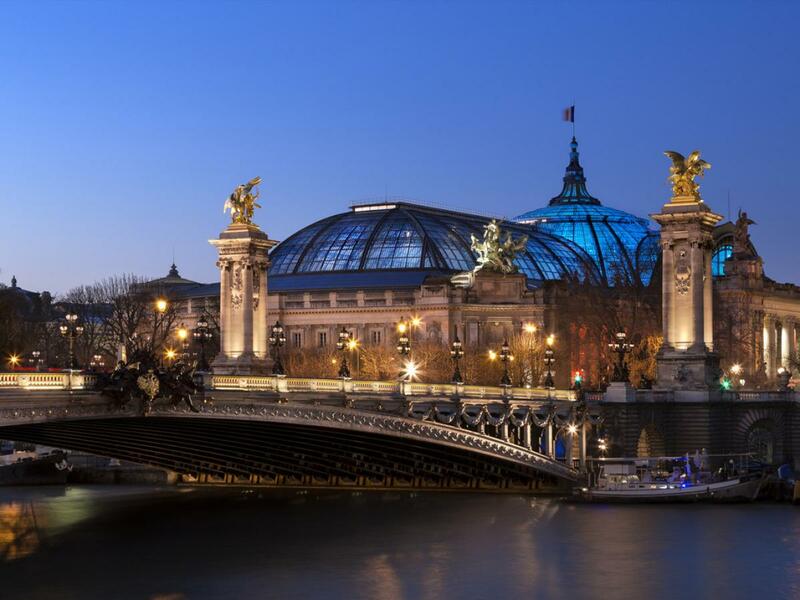 You will enjoy special menus in a refined set and you will have a great view through the large windows of the most beautiful monuments of Paris that will pass by throughout this unforgettable night, that will end at the Eiffel Tower for the Bastille day Fireworks. 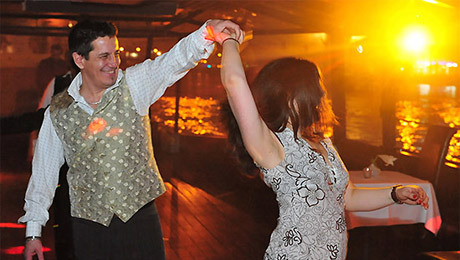 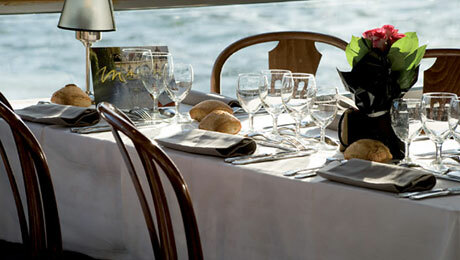 And to add even more charm to this cruise, musical animation during your dinner. 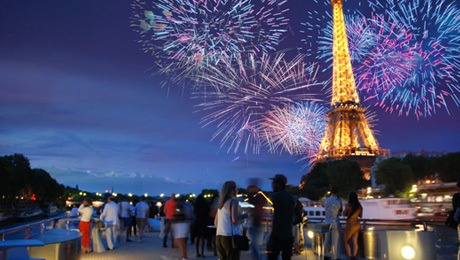 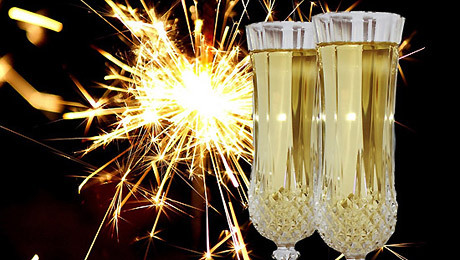 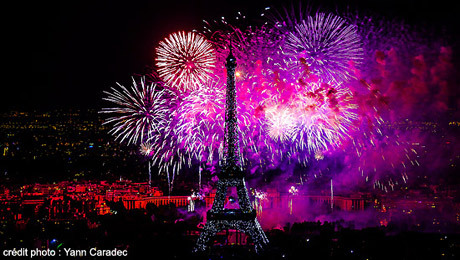 Departure of the cruise at 9:00 p.m.
See the Bastille Day fireworks from the deck of the boat from 11:00p.m. 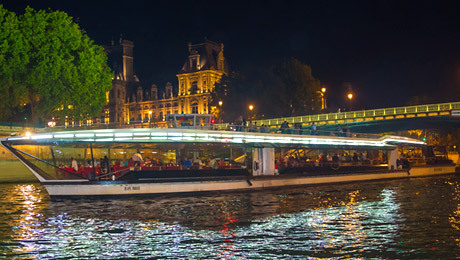 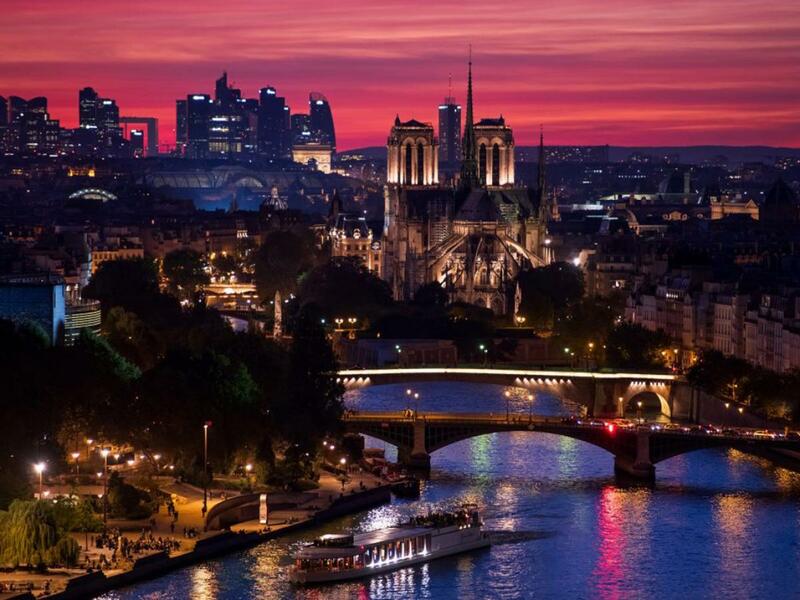 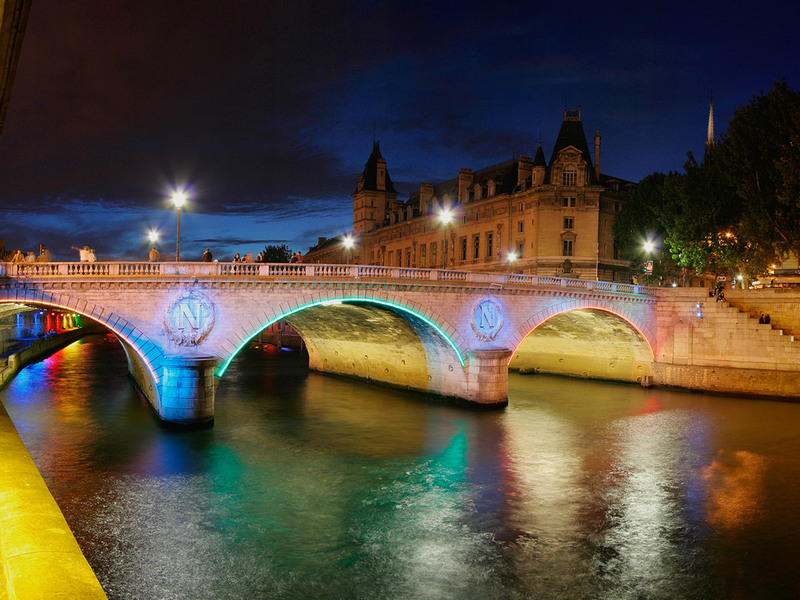 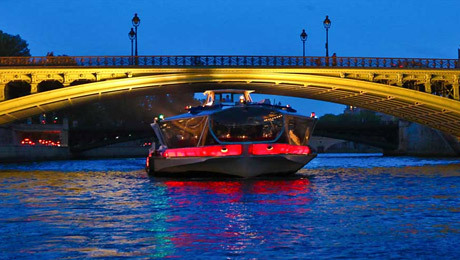 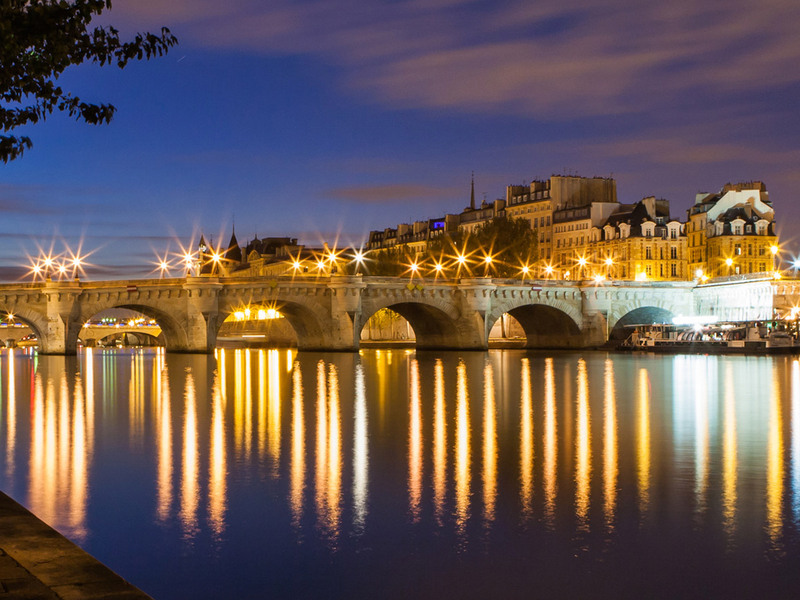 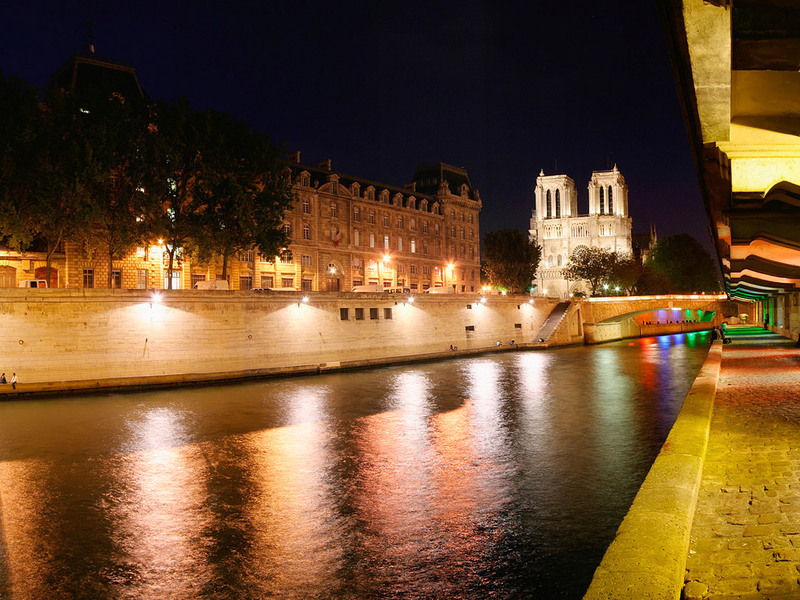 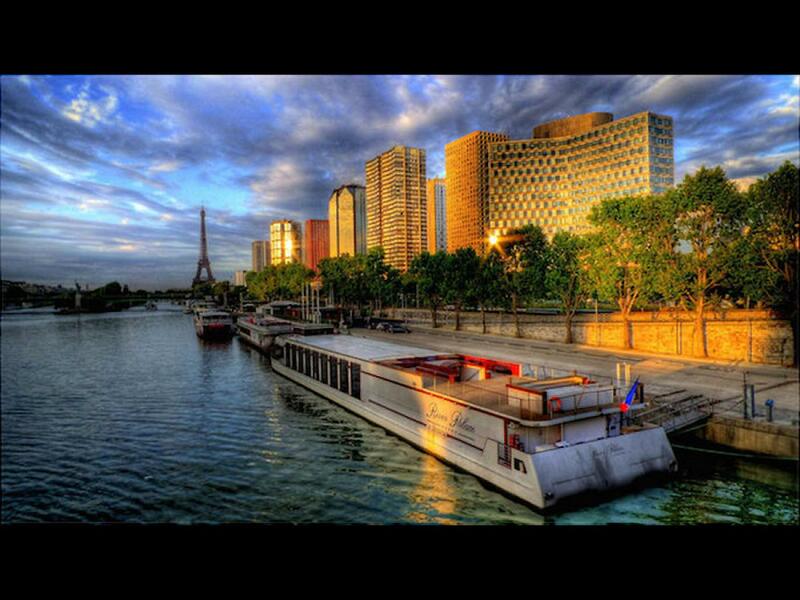 *** Only the river Seine authorities defines the stop point of the boat during the fireworks. 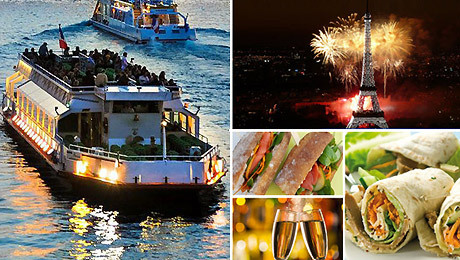 Check-in from 8:45 pm - Departure at 9:15 p.m.
Departure of the cruise at 8:30 p.m.
Bastille Day dinner cruise aboard the luxurious "Boreas"
July the 14th special dinner cruise "Diamant Bleu"
Check-in from 7:00 p.m. - Departure at 8:00 p.m.